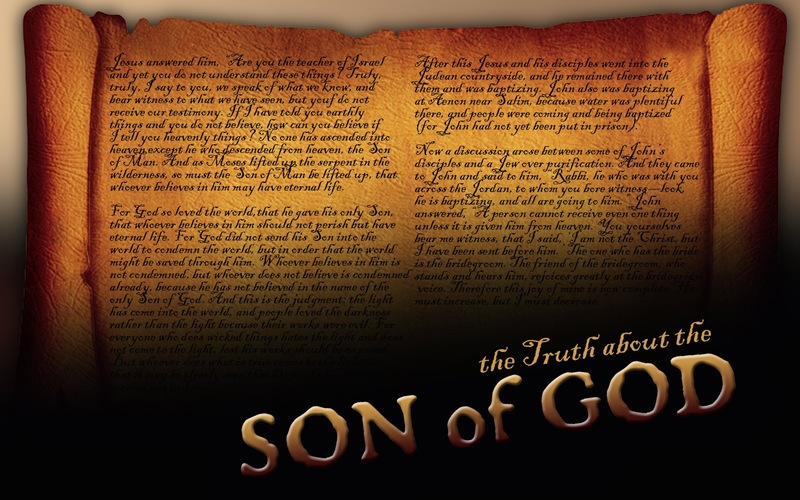 Sermon Leftovers: Was Jesus God? Did the men who wrote the Bible believe that Jesus was actually God? In the decades immediately following Jesus' ascension, it was a foregone conclusion among his followers that He was God. However, just as we don't randomly insert theological propositions into our letters and emails, the authors of the early books and letters which make up the New Testament didn't just insert creedal statements about the deity of Christ. They assumed it was understood by everyone. It is not difficult to discern their opinion on this issue from a simple reading of their letters. Their strong belief that Jesus was God comes through clearly as you read their greetings, poems, and instructions. Paul started nearly every one of his letters with the words, "Grace and peace to you from God our Father and the Lord Jesus Christ." At the very least, he is insinuating some level of equality between God and Jesus. In the first chapter of Colossians, Paul identifies Jesus (not God) as the creator. Such a statement is a clear insinuation that the essence of Jesus is the same as the essence of God. In the following verses he states that Jesus is the fullness of God. It would be hard to not understand this as Jesus being God. An even stronger Pauline statement regarding the deity of Christ comes in Philippians 2. In a piece of poetry, Paul clearly states that Jesus was, in very nature, God. James, like Paul, opened his letter by alluding to an identifiable similarity between Jesus and God. He referred to himself as the "servant of God and the Lord Jesus Christ." Remember, James was Jesus' brother. He knew Jesus like very few did, he grew up with him. And he was still willing to view him on the same level as he did God. James' brother Jude makes a similar reference in the opening of his epistle. The author of Hebrews cites similar thoughts to Colossians 1, when identifying Jesus as the creator and the exact representation of the Father. While the earliest written books and letter make allusions to the author's belief that Jesus was God, the letters written later in the first century make even more clear statements regarding the deity of Christ. This likely has to do with the increased proliferation of various cults and heresies such as gnosticism. 2 Peter 1 refers to Jesus as "God and Savior". In his first epistle, John clearly states that the defining criteria for all teachers is what they believe about Jesus. In the final book of the new testament, John describes the scene in heaven where Jesus is worshiped by those singing, "holy, holy, holy is the Lord GOD Almighty." Did the writers of the new testament believe that Jesus was God? Yes, all of them, unequivocably.